Park Avenue, one of the first major formations visitors encounter at Arches N.P. A steep, climbing road takes visitors to the main plateau. 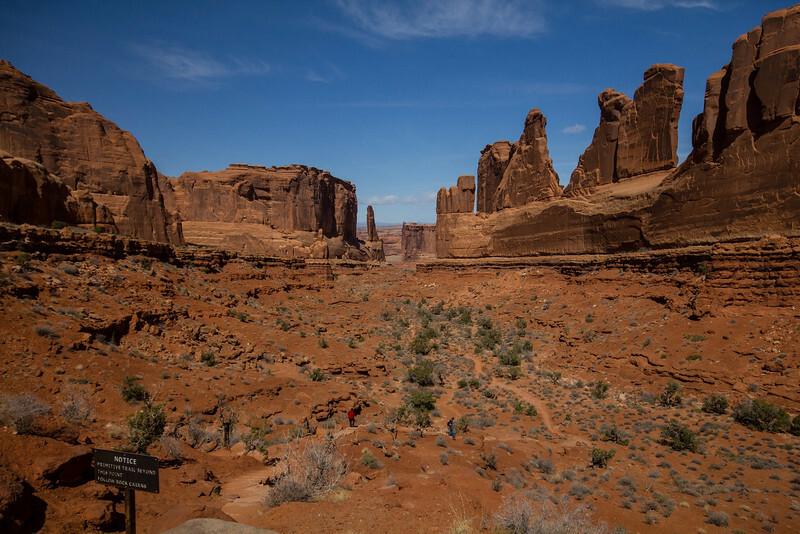 The main features in the park are all at an elevation much higher than the Visitor Center and neighboring Moab, Utah.